Since their inception in 1998, the Rays have played at Tropicana Field, the last remaining dome stadium in Major League Baseball. Although many fans prefer to watch baseball played outside, Tropicana Field keeps the summertime heat and humidity out, keeping fans cool. Over the past decade, the Rays have invested in making their stadium one of the best experiences for their fans. 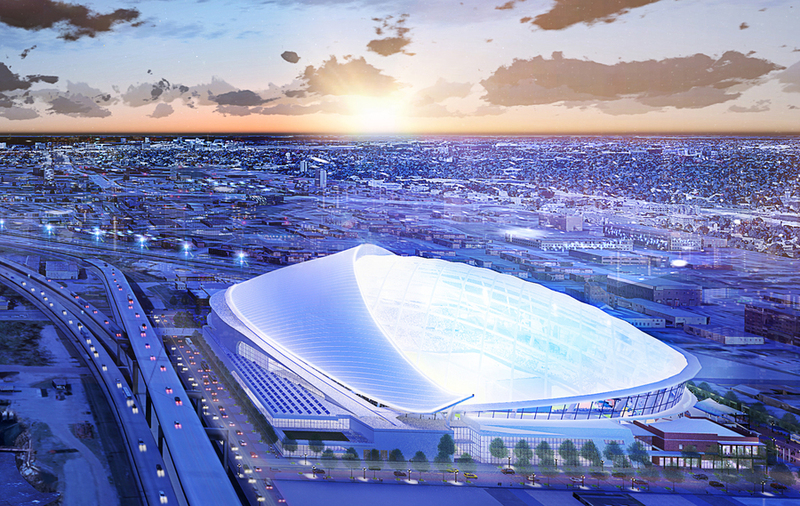 However, because Tropicana Field lacks many amenities of newer ballparks, the team continues to explore options of building a new stadium. 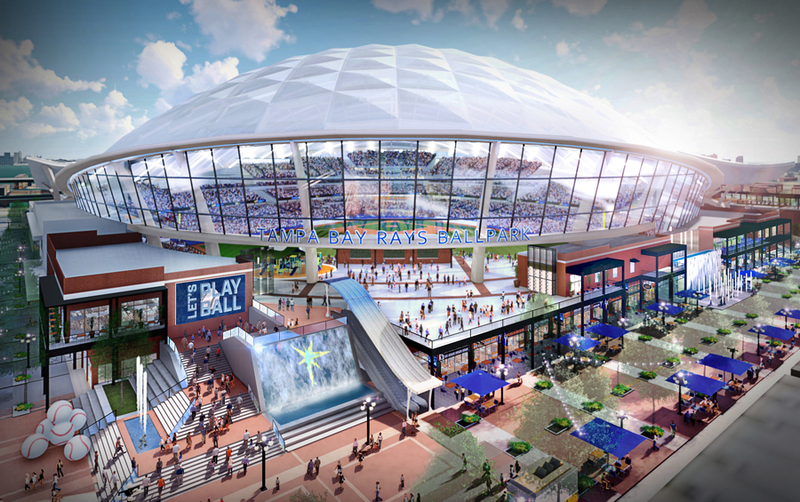 For over 10 years the Rays reviewed numerous locations to construct a new ballpark. Locations included downtown St. Petersburg and around downtown Tampa. 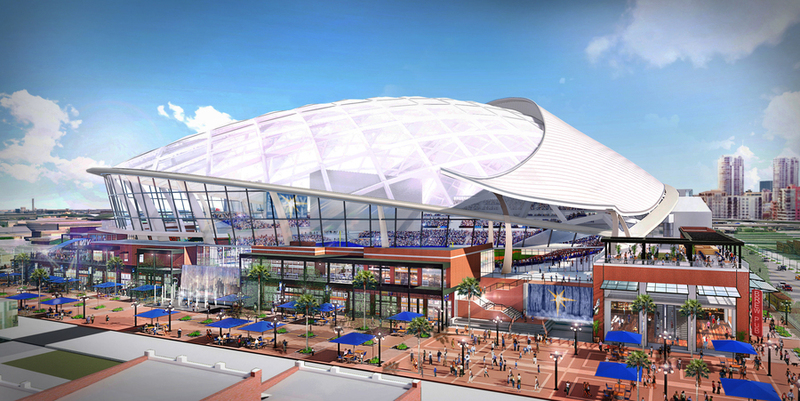 In July 2018 the team unveiled plans to build a $892 million ballpark in the Ybor City district of Tampa. 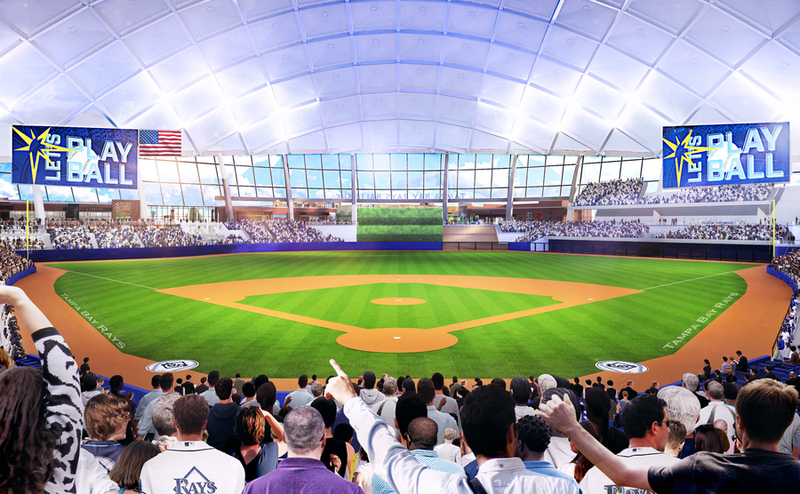 The ballpark would be a dome facility with a transparent roof featuring sliding glass exterior walls. It would be the smallest ballpark in baseball with a seating capacity of 26,216, but includes stand room only areas for over 2,600 fans boosting the capacity to 30,842. The grandstand would feature a lower deck and loge level stretching from home plate to both foul poles and a small upper deck extending from behind home plate to first and third base. There will be several seating areas in the outfield. 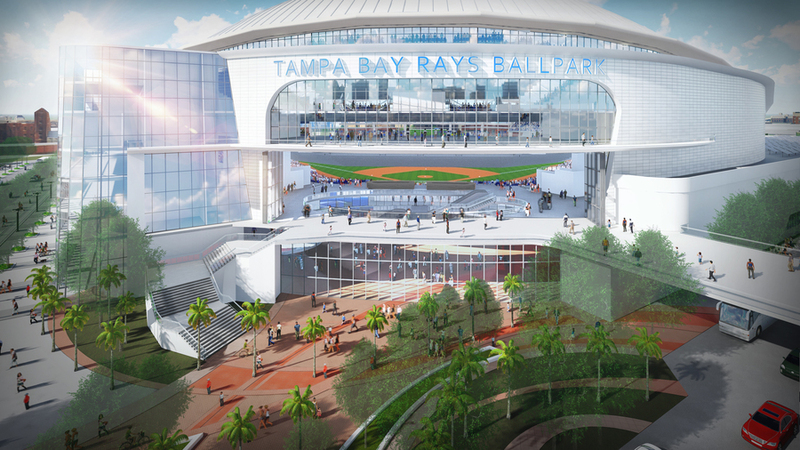 The ballpark will have several unique areas including picnic suites, a sand berm and a touch tank (like Tropicana Field). 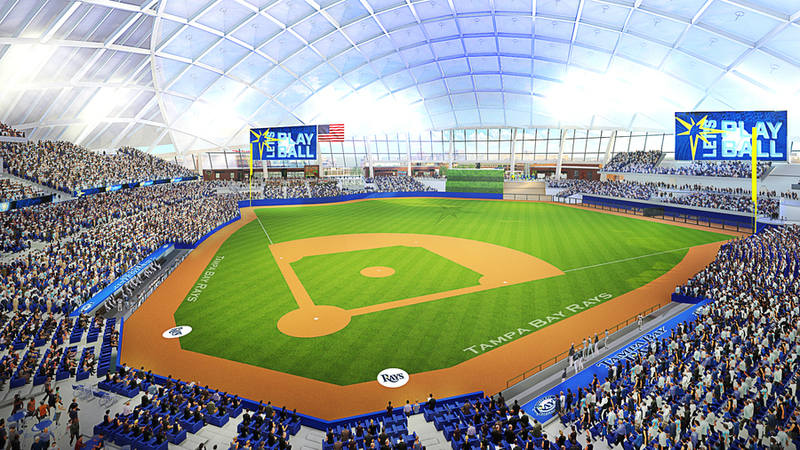 Financing for the ballpark has yet to be determined, but the Rays would like to open the ballpark by 2023.